I have found that I was thinking about the mushers throughout the day, as our weather has been getting warmer, I couldn’t help but think about the cold weather they were experiencing. As I was going to bed, I would also think of them either actually on the trail, or at their resting spots. I especially was thinking about Benjamin Harper, being a rookie, and just out of high school, I couldn’t imagine being his mom worrying about him at night. But overall the experience has been a lot of fun. The girl I had chosen is a veteran, and even her husband is racing as well. They have a website you can find here. She has consistently been in the top five. It has been fun to visit her website because they have pictures and keep it updated on her and her husband’s progress. As of today, 4 mushers have made it into Nome, and Aliy Zirkle will be there sometime tonight, hopefully in 5th place. 35. Seth Barnes is 4 checkpoints out. 39. 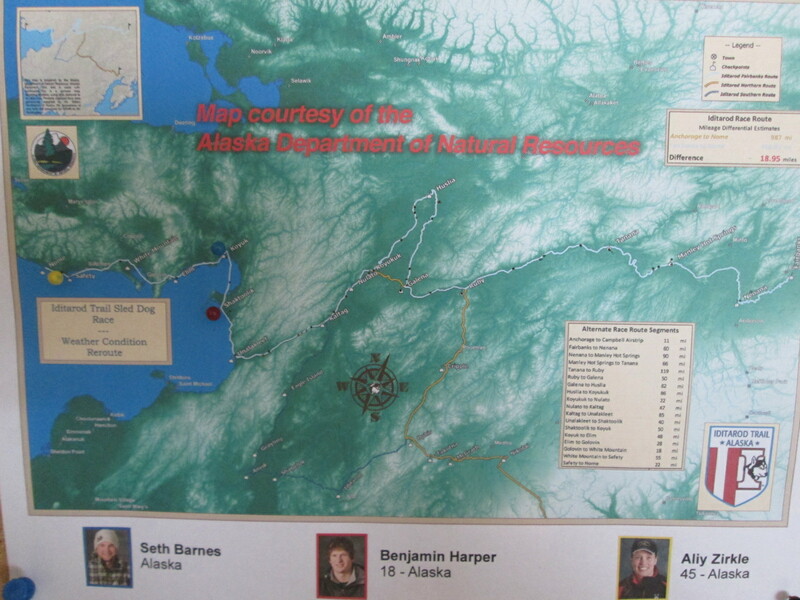 Benjamin Harper is 5 checkpoints out. I would think that they should be in Nome by Thursday, at the latest, Friday. We will continue to track them until they both cross the finish line. PS: You’ll see Allen and the Black Team are still resting in Shaktoolik. They may not move from there until after the Red Team has finished. When possible, Allen likes to see her safely home before continuing with his race. This entry was posted in Life and tagged Iditarod 2015. iditarod 2015 winner. Bookmark the permalink. I can’t imagine worrying about my son out there too – I”m totally with you on that one. My bro-in-law and sis-in-law have 2 german shepherd and they were the cutest puppies! !